“Torjoman ”is a leading online translation and localization company in ME, with three offices spread across UAE, KSA and Egypt, that translates documents, websites, apps, multimedia and much more, is announcing that we have taken a new step to keep delivering a consistently high quality service by obtaining the ISO 17100 certificate. This step will guarantee all our clients that we will deliver the highest translation quality in market. 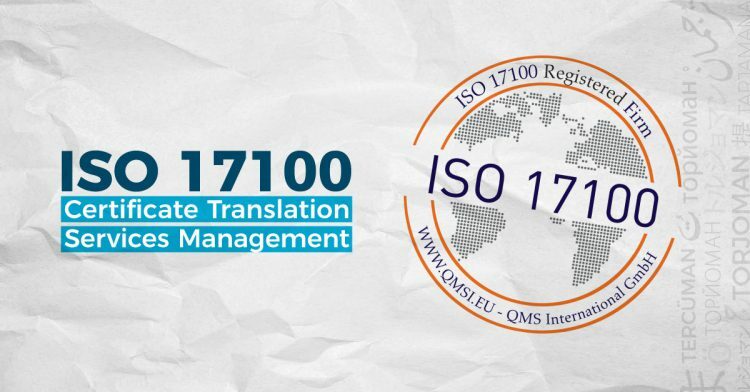 Obtaining the ISO 17100 certificate places Torjoman perfectly at the forefront of the translation and localization industry enabling it to better serve its clients by guaranteeing that their project is in talented, safe and qualified hands. Torjoman provides a wide range of translation and localization services across all platforms of the digital world using latest technologies and procedures. With our suite of services, we evolve your content to connect with customers beyond borders. Converting language barrier into a doorway to global opportunities and business.